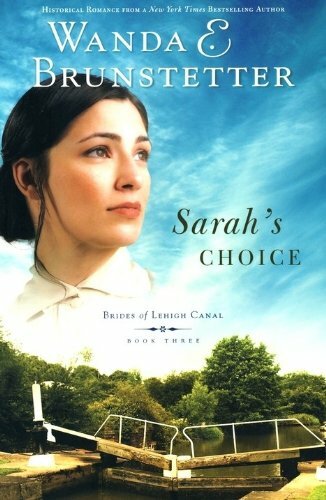 Synopsis: Widowed Sarah Turner has her hands full, raising three young children, tending the lock on the canal, baking bread, and washing clothes for boatmen. Although she's not looking for love, she's vowed not to lose her heart to a boatman. Yet she didn't count on meeting Captain Elias Brooks. Will she follow her heart where it leads or accept the proposal of a handsome land-loving blacksmith? 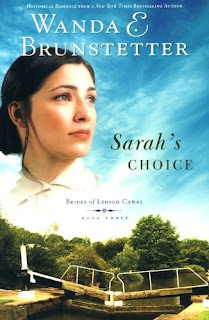 This is the third book in the Brides of Lehigh Canal Series, and we now find Sarah a widow and mother of three young children. She is doing a man's job of physical labor in tending the Lock on the Lehigh Canal. She also makes bread to sell to the boatmen ...in her spare time. Sarah has always hated living on the water...she used to walk the mules for her father. When she married Sam she never thought she would be back, and definitely doesn't want her children to have any part of it. The way of life on the canal is of historical interest and in this book you see the writing on the wall that it is going to be coming to an end...the train will be taking over. I found this book to be an extremely fast read. Love the Christian aspect in this book, and how even tough Canal men find the Lord. I enjoyed the character of Elias, he is a kind, considerate, and Godly man. Loved his interaction with the children. I would recommend this book, although I did find parts to be predictable! Disclosure of Material Connection: I received this book free from Barbour Publishing Inc. I was not required to write a positive review. The opinions I have expressed are my own. I am disclosing this in accordance with the Federal Trade Commission’s 16 CFR, Part 255: “Guides Concerning the Use of Endorsements and Testimonials in Advertising. ﻿My Teasers: I needed to tell Liz, but I didn't feel like having a conversation that involved right now, so I sent her a quick text instead: Just learned that Troy had been involved with the Mafia! Relevant? She replied almost instantly: Could be? Will explore further. I'll be in touch. Synopsis..Will God protect and keep them safe in the midst of persecution? Farah lives in Riyadh, Saudi Arabia, with her family, and wants nothing more than to develop a deeper devotion to her Muslim faith. She sees the month of Ramadan as her chance to draw nearer to Allah, and pursues that goal. All goes well until the prophet Isa—Jesus—appears to her in a dream and calls her to Himself. Her brother, Kareem, who has never liked her, seeks to discredit her. Farah’s cousin, an only child, frequents an online chat. She discovers former Muslims discussing their new belief that Isa is much more than a Muslim prophet—He is actually the Son of God. She becomes acquainted with an American girl of Muslim ancestry—now a devout Christian—Sara. Sara has problems of her own due to her brother Emir’s suspicious behavior. Each finds their faith put to the test. Will they be true to their beliefs? Will God protect them, or will they pay the ultimate price for their faith? This book for me was very hard to put down...it is well written and part of Kathi's Extreme Devotion Series, the 4th one. It gives a very big insight into life...especially for woman...in Muslim Saudi Arabia. I sure wouldn't want to live there. The story focus on 2 cousins who live in Saudi Arabia, and a brother and sister living in River Crest Washington. Farah and Nura come from devote Muslim families, and Farah especially is trying to develop a much stronger relationship with Allah. Sara and Emir parents are converts to Christianity, and the teens have been brought up as Christians. I really came to appreciate living in the USA, all that we take for granted in our religious freedoms. Bring out the tissues, there are some very hard parts, and very strong love of the Lord! Disclosure of Material Connection: I received this book free from New Hope Publishers. I was not required to write a positive review. The opinions I have expressed are my own. I am disclosing this in accordance with the Federal Trade Commission’s 16 CFR, Part 255: “Guides Concerning the Use of Endorsements and Testimonials in Advertising. I received this book on Friday and finished it on Saturday...we did have a Birthday party here this weekend! It will keep your nose in the book....wishing there were more hours in the day! I really enjoyed it. Dr Elena Gardner has had a horrific year, with the death of her husband Mark. She is just about to finish medical school, when another patient presents with the same illness that took her husband. When this patient is found dead, the finger is pointing at Elena. She is offered an early end to her studies and accepts a job Dainger, TX..about 2 hours from Dallas. The scary things that happen to her...the phone call, people following, the peeping. Enough to drive you over the deep end. God had a wonderful way of putting the right people in her path. Love that she ended up living with the Kennedy's, and her wonderful Godly friend David. I love that there is an Epilogue at the end of this book, I really appreciate it when an author provides the update. Disclosure of Material Connection: I received this book free from Abingdon Press. I was not required to write a positive review. The opinions I have expressed are my own. I am disclosing this in accordance with the Federal Trade Commission’s 16 CFR, Part 255: “Guides Concerning the Use of Endorsements and Testimonials in Advertising. To help your child identify each letter of the alphabet, on the upper left-hand corner of the page is the letter and below are doodles starting with the matching letter. There are up to 52 images, for children to discover and color. Perfect for learning the alphabet! My Grandson's ages 3 and 5 loved this book. Their Mother is a teacher and was really pleased. She was so excited to see the drawings ...there are two for each letter....she told me she loved that the lines were not perfect...wonderful for children! 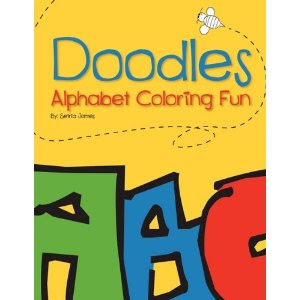 This makes a great addition to any child's book collection, especially those learning to read and color. The opinions are my own, I received a copy of this book from the author! If bread is the staff of life, then this book by renowned artisanal baker Daniel Leader is every home baker’s must-have cookbook. Featuring an amazing array of incredible delicacies made with yeast, it’s the perfect combination of easy and sophisticated recipes, with the keys to unlocking basics of working with yeasted doughs. Who can resist a collection of 50 mouthwatering treats, essential recipes for everyone who loves bread? The menu includes must-bake breakfast classics like crumpets and English muffins, and the three irresistible Bs: bagels, brioche, and bialys … timeless favorites such as Parker House rolls, ciabatta, and challah … plus waffles, cider doughnuts, beignets, babka, and monkey bread. Bakers of all skill levels will learn tips and trade secrets from Leader, who has shared his vast knowledge with people around the world. This book is full of great recipes and beautiful pictures to tempt you. Each recipe is given in metric/ounces together. You don't have to go and figure it out, there are wonderful detailed instructions. We loved the Monkey Bread, and are planning to make the grilled pizza over the summer. There are so many recipes here....ever want to make your own English Muffins? How about Ciabatta or Navajo Fry Bread? Your in for a real treat with this book, it is a real treasure! Disclosure of Material Connection: I received this book free from The Taunton Press. I was not required to write a positive review. The opinions I have expressed are my own. I am disclosing this in accordance with the Federal Trade Commission’s 16 CFR, Part 255: “Guides Concerning the Use of Endorsements and Testimonials in Advertising. Product Description: A mother's tragedy, a daughter's desire and the 7000 mile journey that changed their lives. Historical fiction writer Jane Kirkpatrick picks up where the fact of the Estbys’ walk leaves off to explore Clara's continued journey. What motivated Clara to take such a risk in an era when many women struggled with the issues of rights and independence? And what personal revelations brought Clara to the end of her lonely road? The Daughter's Walk weaves personal history and fiction together to invite readers to consider their own journeys and family separations, to help determine what exile and forgiveness are truly about. I loved this book, it was a wonderful read. History was found throughout the book. The whole story is based on fact, and made more entertaining with the added fiction...or was it. I do know that a high price was paid for the walk, both monetarily and in lives. What a amazing true adventure Helga and Clara had. I cannot even imagine walking all that way. I loved that the book included and epilogue...adding to the story. It also has the wonderful inclusion of the Author's Notes...wow! Don't miss this amazing book, and I am so glad that I chose to read it! Disclosure of Material Connection: I received this book free from the publisher. I was not required to write a positive review. The opinions I have expressed are my own. I am disclosing this in accordance with the Federal Trade Commission’s 16 CFR, Part 255: “Guides Concerning the Use of Endorsements and Testimonials in Advertising. 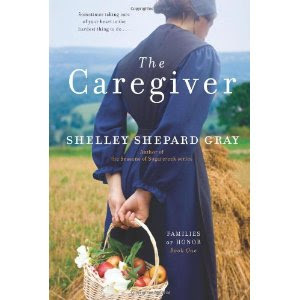 Synopsis..Amish midwife Abigail Graber loves bringing babies into the world. But when a difficult delivery takes a devastating turn, Abigail is faced with some of the hardest choices she has ever had to make. Despite all her efforts, the young mother dies-but the baby is saved. When a heartless judge confines Abigail to the county jail, her younger sister, Catherine, comes to care for the home while Daniel works his fields. Catherine meets Daniel's reclusive cousin, Isaiah, who's deaf and thought to be simple-minded by his community. She teaches him how to communicates with his fellow man, and in so doing, discovers he possesses unexpected gifts and talents. Catherine makes a difference in all their lives and in return, finds love, while Isaiah discovers God, who cares not for our handicaps or limitations. This book was very enjoyable and a very quick read! It showed that we all have to live with our decisions. I thought that Abigail did the right thing, but in the eyes of the law she was wrong! Just like a sin is a sin! I loved the way Catherine is able to communicate with Issiah. What a fun time she and the children have together, including Issiah! My heart went out to Nathan who loses his young wife, and now has little Abraham to take care of. You can see God's hand in helping his people! Abagail's presence in the Jail also has an effect on those around her. I also loved those who nagged at Nathan to return to his Lord, and deal with his grief. I would recommend this book to all who enjoy a good story and life in the Amish community. 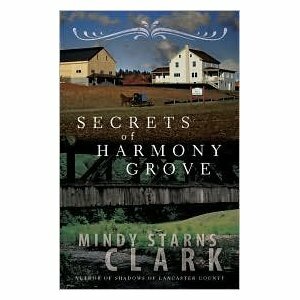 Synopsis: In the sequel to Simple Secrets, watch how a raging current of deceit runs through the once peaceful Mennonite community of Harmony, Kansas. As soon as Gracie decides to stay in town and take freelance work involving a local land developer, the townspeople blame her for bringing on this change that could ruin life as they know it. Gracie's motives in romance with Sam, in helping an oppressed teenager, and in trying to make a living are all suddenly drawing suspicion. Should she leave or stay and fight for what she has come to love? This book has a bit of everything! Romance, danger, abandoned baby, humor, murder, blizzards, and faith!! I enjoyed this book, being set in a quiet Mennonite Community in Kansas. I haven't read the first book in this series, but even though there were reference to the first book, I was able to read along. Throughout the book there seems to be on going fear to turn their problems over to God. Once you start reading this book, it is hard to put down. You are drawn to the quiet KS town of Harmony....which sounds delightful! Most of the people here look out for one another! When something happens, even without phones, everyone seems to know about it! I loved the way everyone gravitated to food...whether at Mary's or Sweeties...this book will make you hungry! I am now looking forward to the next book in this series...answers to questions! I would recommend this read to all! Disclosure of Material Connection: I received this book free from Barbour Publishing. I was not required to write a positive review. The opinions I have expressed are my own. I am disclosing this in accordance with the Federal Trade Commission’s 16 CFR, Part 255: “Guides Concerning the Use of Endorsements and Testimonials in Advertising. As the title suggests there has been a divorce. Hillary has put her whole life into raising Seth, and he knows it. Seth is just graduating from High School, and has his whole life ahead of him. Seth makes a decision and Hillary agrees, only it is a very bad decision that is life changing. Her ex husband and his new wife and family are in town to share in the joy of the graduation....then the tragedy happens. Will the two families be able to come together in order to focus on what is important? I don't know if I could be a generous as Hillary...she opened her home to Eric and his family. I know it is a celebration, but letting the other woman in her home? This story is a great is a great lesson of letting go and letting God be in control. It will make you angry, sad, and joyful! The story itself is loosely based on Hannah of the Bible. Disclosure of Material Connection: I received this book free from Hatchett Book Group. I was not required to write a positive review. The opinions I have expressed are my own. I am disclosing this in accordance with the Federal Trade Commission’s 16 CFR, Part 255: “Guides Concerning the Use of Endorsements and Testimonials in Advertising. Love this question....would it be fun!! Love the books chose by Bookshop Girl...but I've read a good share of them. I think I would spend the day looking around and just savoring what I can purchase....with no guilt! Synopsis An Amish settlement in Ohio has run afoul of a law requiring their children to attend public school. Caleb Bender and his neighbors are arrested for neglect, with the state ordering the children be placed in an institution. Among them are Caleb's teenage daughter, Rachel, and the boy she has her eye on, Jake Weaver. Romance blooms between the two when Rachel helps Jake escape the children's home. Searching for a place to relocate his family where no such laws apply, Caleb learns there's inexpensive land for sale in Mexico, a place called Paradise Valley. Despite rumors of instability in the wake of the Mexican revolution, the Amish community decides this is their answer. And since it was Caleb's idea, he and his family will be the pioneers. They will send for the others once he's established a foothold and assessed the situation. Caleb's daughters are thrown into turmoil. Rachel doesn't want to leave Jake. Her sister, Emma, who has been courting Levi Mullet, fears her dreams of marriage will be dashed. Miriam has never had a beau and is acutely aware there will be no prospects in Mexico. Once there, they meet Domingo, a young man and guide who takes a liking to Miriam, something her father would never approve. While Paradise Valley is everything they'd hoped it would be, it isn't long before the bandits start giving them trouble, threatening to upset the fledgling Amish settlement, even putting their lives in danger. Thankfully no one has been harmed so far, anyway. I enjoyed this book! Parts are very scary, and other times you will be chuckling! Was not aware that the Amish moved from Ohio to Mexico...that alone had to be hard. I know that their religion works because there are support of others. When Caleb moved to Mexico he was the only support his family had! The cover on this book will draw you in, and I enjoy Amish stories. The character's seemed so real that at times I felt like I was riding in the wagon with them. I didn't want the book to end, their are a lot of answered questions! 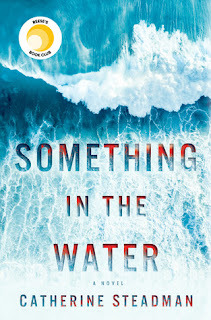 I see this is the first book in a series, so hopefully there are answers to come! I would recommend this book to anyone who enjoys a fictional book based on facts. The Author's father was raised Amish and lived in Mexico. Unfortunately this is a fast read, wish it was longer...I enjoyed being there with this family! I won this book in a giveaway, the opinions are my own! Synopsis Lucy is traveling by herself via train to Jacob's Crossing to help care for her cousin Mattie, recently diagnosed with breast cancer. Trying to overcome the sudden death of her husband, she's glad to get away and focus on someone else for a while. I enjoyed reading this book and it made me realize that being Amish doesn't guarantee that there won't be abuse and heartbreak. Lucy shows great courage as she tries to get on with her life. I can't imagine the abuse she has suffered in her young life. Now she is headed to a new challenge ...helping her cousin Mattie. Mattie has been diagnosed with breast cancer and is about to start her chemo treatments. Calvin had what he thought was his heart broken, his girlfriend Gwen had betrayed him with his best friend Will. I "loved" how Calvin and his brothers treated their Mom! They truly showed their love and joy with her, going out of their way to make her happy. Then there is delightful Katie and their Uncle John. John is struggling to find his way in the English world, or back to his Amish roots. My main criticism of this book is that almost everything is left hanging. There are so many unanswered questions, but I take it they will be answered in the coming books. Disclosure of Material Connection: I received this book free from HarperCollins Publishers. I was not required to write a positive review. The opinions I have expressed are my own. I am disclosing this in accordance with the Federal Trade Commission’s 16 CFR, Part 255: “Guides Concerning the Use of Endorsements and Testimonials in Advertising. Synopsis Rick Tramonto started as a high school dropout working at Wendy’s; he became one of the hottest celebrity chefs in the world. Yet his rise to culinary success was marked with tragedy, loss, and abandonment. As a teenager, Rick worked to support the family when his father (who had Mob ties) went to prison. As a young adult, he struggled with a learning disability and drug addiction. Yet as a chef, he rose rapidly to culinary stardom, earning rave reviews and eventually opening the famous four-star establishment Tru. From the outside, it looked like he had everything he ever wanted; his lifelong hunger for meaning should have been more than met. But on the inside, his life and his marriage were falling apart. And then, one night, a voice on the radio changed everything. Containing recipes and color photos, Scars of a Chef is the mesmerizing rags-to-riches memoir of one chef’s journey through the highest heights and the lowest lows of the culinary world . . . and his search for something that would finally heal his wounds and sustain him through even the darkest times. I enjoyed reading Rick's life story and glad that he has more to go. Even when he wasn't a believer early in his life I can see God's hand in there! He had a rough time as a child, his parents home was very dysfunctional. Am glad that he did have the support of loving Grandparents, Aunts, Uncles, and cousins. He is an over achiever, the amount of time he put into honing his craft, and the success he achieved. He is a very inspiring man, and willing to do all that he could to learn to be the very best! I loved that the book included pictures, putting faces to the people that are talked about in the book. Also included are some yummy recipes though out! A must read of any young aspiring chefs! Disclosure of Material Connection: I received this book free from Tyndale House Publishing. I was not required to write a positive review. The opinions I have expressed are my own. I am disclosing this in accordance with the Federal Trade Commission’s 16 CFR, Part 255: “Guides Concerning the Use of Endorsements and Testimonials in Advertising. I enjoyed this book and finding out about old friends, but you do not need to have read the other books to read this one. This is the 6th book in the series including Seek Me With All Your Heart. This book is the story of Miriam Raber and Saul Fisher's romance. It is also the story of a lost girl, a distant cousin to the Raber family....Shelby Raber. I enjoyed the interaction and the closeness that Miriam and Shelby achieve. You can see God's hand in all that happens in the story. I loved the surprise ending! Forgiveness! I can't wait for more books in this series! I received a copy of this book from the publisher, I was not compensated in any way and was not expected to give a favorable review.